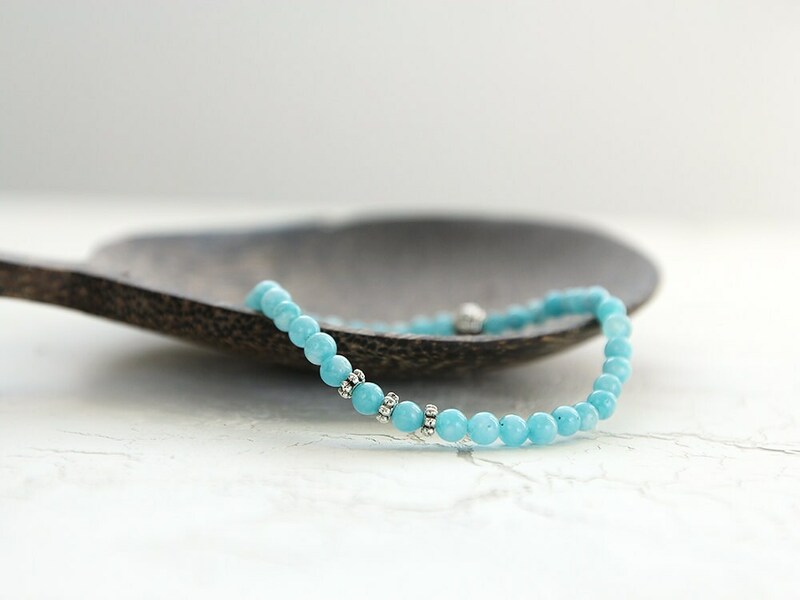 This dyed blue Quartz bracelet contains that beautiful shimmering aqua colour of tropical seas. It's perfect for adding a chic, colourful touch to your wardrobe this season. 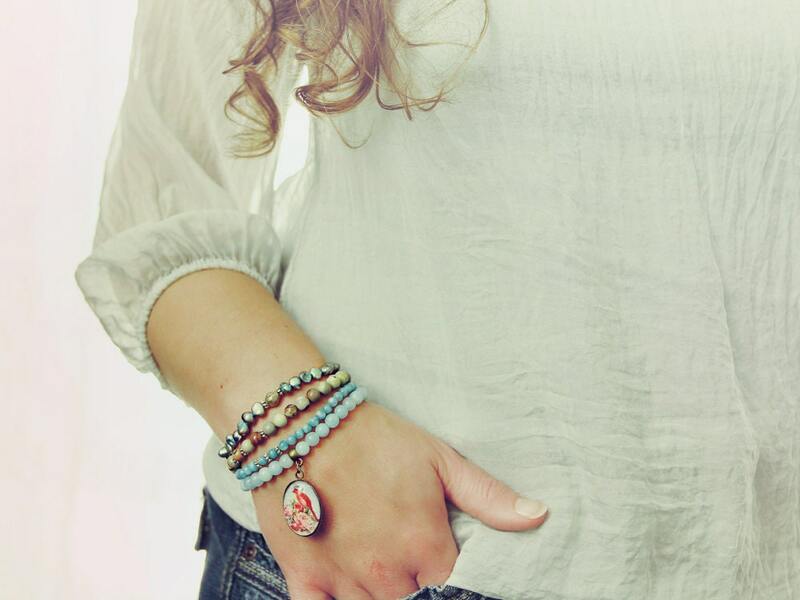 It looks beautiful worn alone, but is sensational when layered with other bracelets. 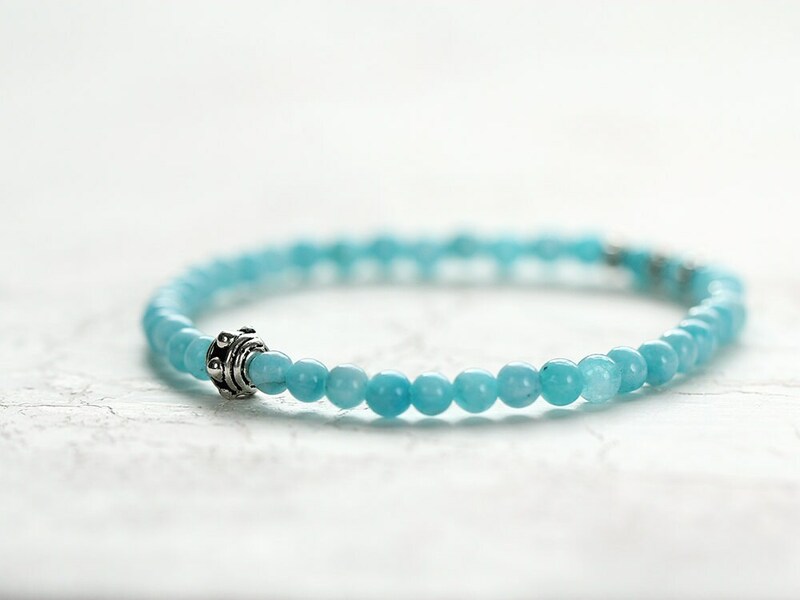 The colours will take you away to the shores of the sea; fresh, shimmering, effervescent aqua-blues, with silver / pewter accents that glisten like sunlight on the ocean. 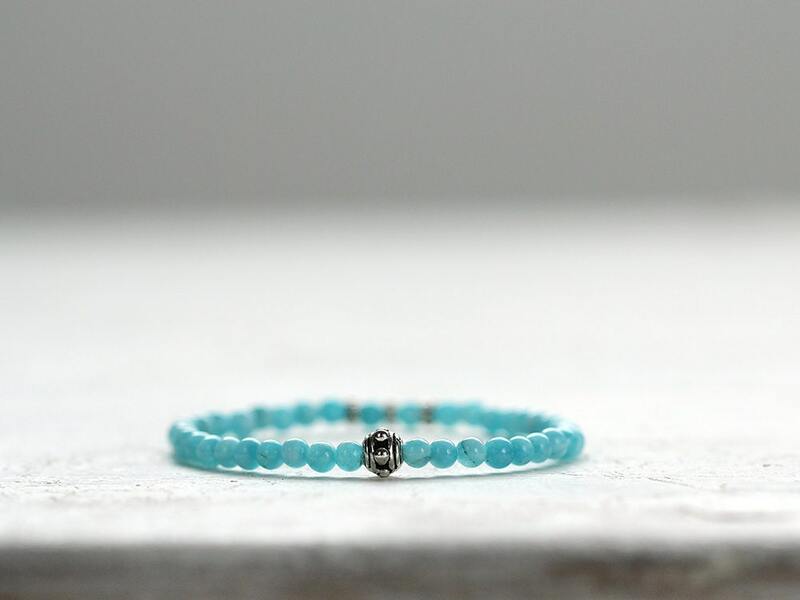 We all know how restorative the ocean can be, and what better way to feel connected than with this bracelet, which you can pop on whenever you wish you were standing by the shore! 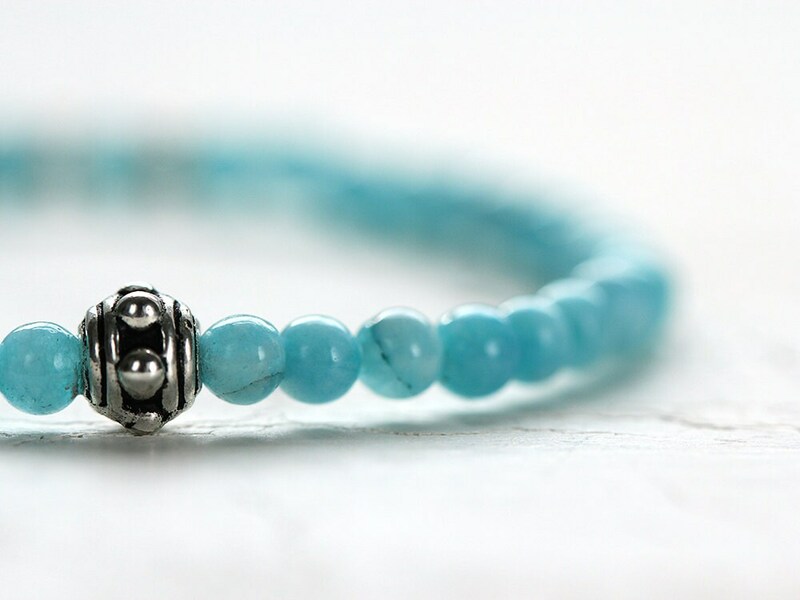 And, even better, no more struggling with fiddly clasps - this bracelet stretches so you can easily roll it on! * Can be custom made to fit - please contact for custom length. * Quartz beads measure approx 4mm.